I am looking at purchasing a set and would like input regarding suggestions and recommendations. Are you looking for bit,s to drill hinges or brad point , wood craft has both !! Yes for drilling the holes for the screws on door hinges, etc. I don't know what brad point is. Woodcraft is always so expensive. Hi Stephanie, self centering bits for mounting things like hinges are actually known a "Vix Bits" The come in several sizes and the ones you would need for cabinet door hinges and actually house door hinges are number 9 for large hinges in a house door and things link a fence gate hinge and #5 for hinges like cabinet door and furniture door hinges. Number 5 would be the most used . They work by being mounted in a drill and have an outer cone that is tapered and fits the hinge hole centering the apparatus and starting the drill push down and there is a small drill bit that exits the tip of the cone head that drill a pilot hole in the center of the hinge hole. That gives you a perfect centered pilot hole for your screw. A brad point bit is one that is flat on the bottom with two cutting spurs that cut the outer rim of the hole and a middle point that is short that holds the bit in its centered position . It leaves a flat bottomed hole like a forestner bit. The vix bit are expensive and that is why I am giving you my recommendation on sizes. Unless you are working on large hinges you will not need the 9. A number 5 will cost between ten and 15 dollars for one that will last. I also have a different type that is similar but instead of using a drill you use a hammer and make an indentation into the wood that is the center of the hinge hole. I am teaching a shop class tomorrow and I will find time to take a couple photos of them and how they work. 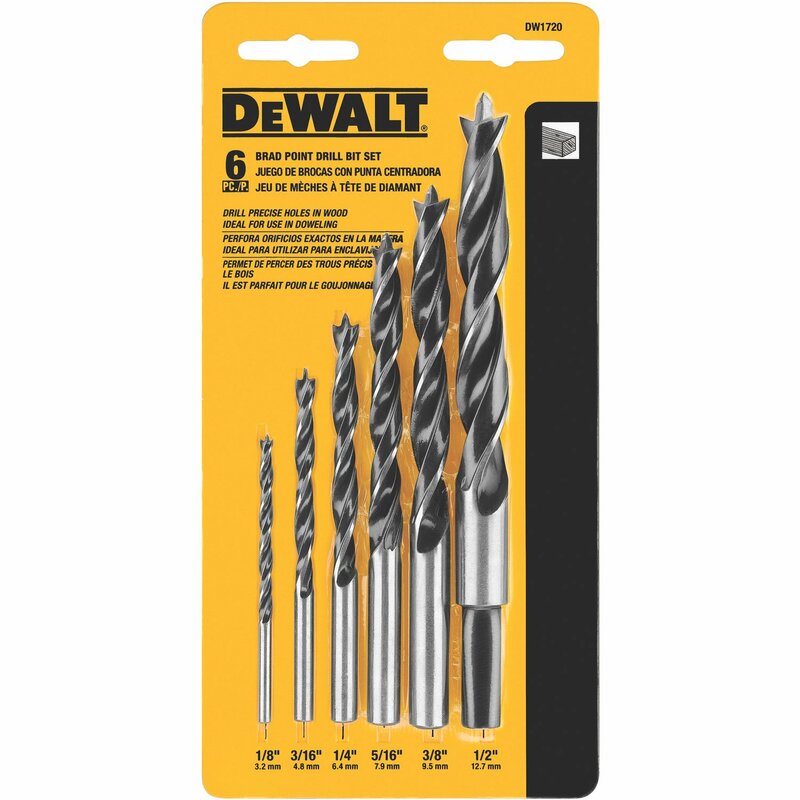 Lowe's carries a 5/64" & 7/64" bits, which I believe equates to the #3 & #5 Jay mentioned. I picked up mine for about $5 each. 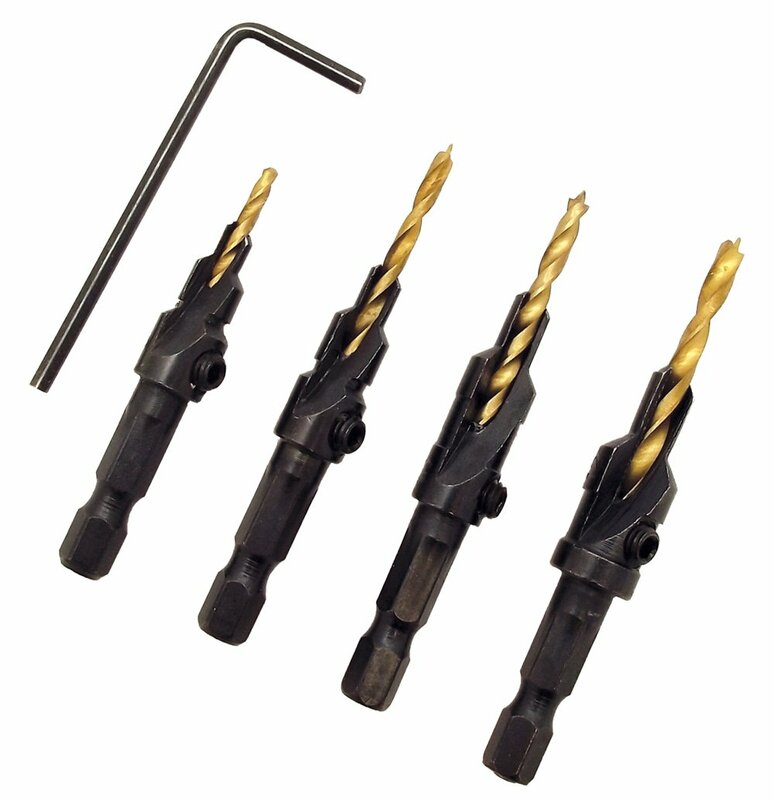 Rockler carries a set that includes #4, #6 & #8 for about $20. Woodcraft has a kit with 5, 7 and 9/64" bits for about $30. I also have a Stanley 58-013 self centering punch, I may have also picked up at Lowe's for around $5. Unfortunately, the taper on the punch will bottom on the jamb for exterior entry doors before centering on the hinge countersinks. I've been able to use the 7/64" centering bit to mark the location, then use a larger bit to drill the pilot holes. The center brad point allows accurate positioning and prevents skating. Side cutting edges have relieved backs to reduce friction and produce smooth side walls. Bosch has some nice bits, a 5 piece set for about $20. Nice set for the money, with a large selection, of several sizes---1/16 to 1/2"
I have various sets---the 5-6 piece sets, I have in my load-n-go drills bag. The larger set I keep in the shop. There are various name brand bits & sets on todays market. Some stores stock individual sizes, which is nice, if you need only certain sizes or to replace broken bit. 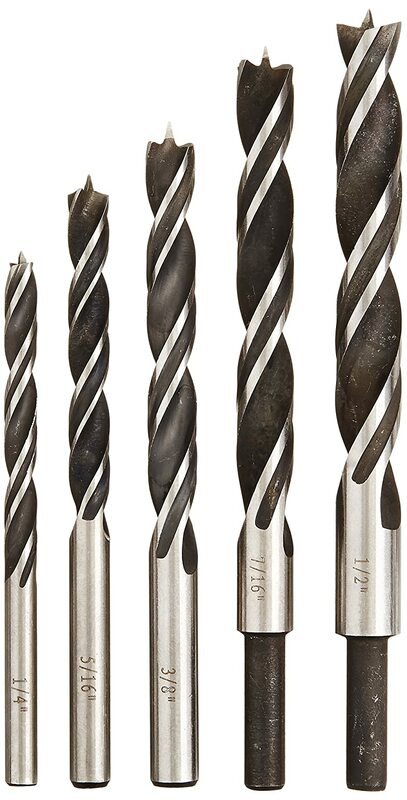 Leevalley Tools offers a variety of sizes---singles or sets---standard and Metric. Better quality bits, cost a little more, but they are more accurate, and the point in accurately centered. I've bought some less expensive ones, and upon close examination, I found that the tip was not centered accurately, and the cutting spurs were not keenly sharp. I had to use diamond steel machinists files to sharpen them. On one inexpensive 3/8" bit, I found the point to be off by 1/32"--- it wobbled and drilled an inacurrate hole---it was useless. I check each drill bit point, so that its centered. This can be done, by placing the drill bit on a flat surface---place an accurate 6" measuring scale adjacent the tip---slowly rotate the bit to see if the point remains in the same plane. If there is the slightest of wobble, the bit won't drill accurately. I also check the spurs on each bits, using a 2X magnifier, for any burrs that need to be removed and resharpened, using the diamond machinists files. drill applicable hole for the screw. The Stanley brand is about $5. Available in a couple sizes---small and large. The small one suffices nicely for small hinges, and the like. This type tool has been on the market for many years, and the commonly used before the Vix type bits came on the market. This tool will suffice nicely for small quantity of marked holes. #6, 8, 10 & 12 Screws. I didn't find this type suitable for cabinet or furniture work. Thank you everyone for the information. I really appreciate it. What dose a counter sink bit set have to do with drilling holes for a hinge , they can be used to build cabinet,s and furniture ????? My comment references the Milescraft bits. they did not produce smooth countersink/counterbored holes. The cutting edges of the countersink were not keenly sharp. It's okay for use in rough lumber and building, but I didn't find it useful in cabinetry or furniture work. 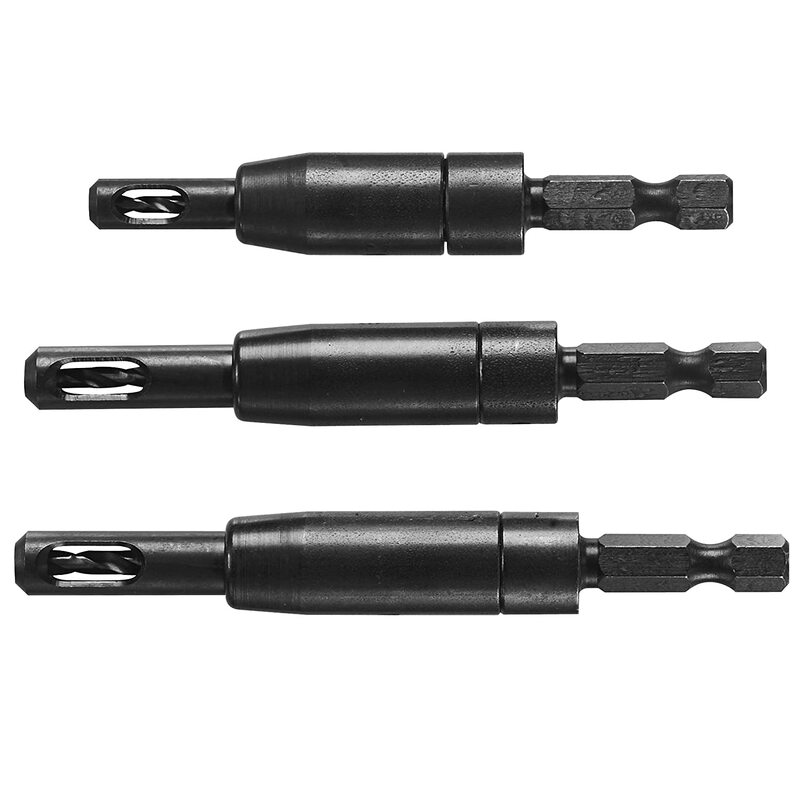 KEN the milescraft set is also what I made reference to , just wondered what they had to do with the post on self centering vix bit for drilling hinges ??? I have a set of VIX bit,s by Snappy , and sold by woodcraft and they work great , about $30.00 !!! I also have two set,s of counter set bit,s made by snappy and they work very good , maybe you could try them for your project,s ? I use them on all my project,s and get a very nice counter sink hole !! My point was why show a goggle pic. of some thing that has nothing to do with the post !!! If you want I can post real pic,s of the tool,s that I own and use every day , not some thing that was goggled !! Have a great day , JIM !!!!!!! I certainly did not mean to get people arguing regarding this. I think in sorting through all this I have the info I need. Thank you all.